If you are looking to add drama to your gaming destination, consider Stained Glass Inc. solutions. 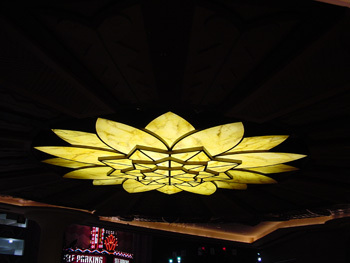 If you want to add luxury and drama to your casino, then look no further than Stained Glass Inc. Our talented team of designers and artisans can create glowing stained glass masterpieces that will impress your visitors time and time again. Make an immediate statement by utilizing one of our gorgeous stained glass doors. These doors can be customized to fit any size entry way, no matter how big or small. 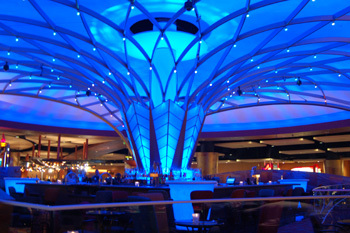 Continue impressing your visitors with a beautiful stained glass ceiling dome displayed in your lobby. The rich color and intricate detail of this fine work of art will easily match the grandeur and opulence of any casino. Showcase specific areas throughout your casino, such as bars and lobby desks, by adding custom stained glass counter fronts. These counter fronts will add color and texture and can incorporate any image or text you desire. If your casino includes a restaurant or other dining area, use Stained Glass Inc.'s partitions to separate booths, or have our designers create a custom stained glass sign to help these areas stand out from the rest of the casino. The possibilities are endless and Stained Glass Inc. is here to make your stained glass dreams a reality. We Do Customized Stained Glass! We offer any size, shape or color in stained glass. Have a question? Call to speak with one of our Design Studio Specialists or email us your inquiries.